Keyboard Controls: Arrow keys to move, space bar to pause/unpause. 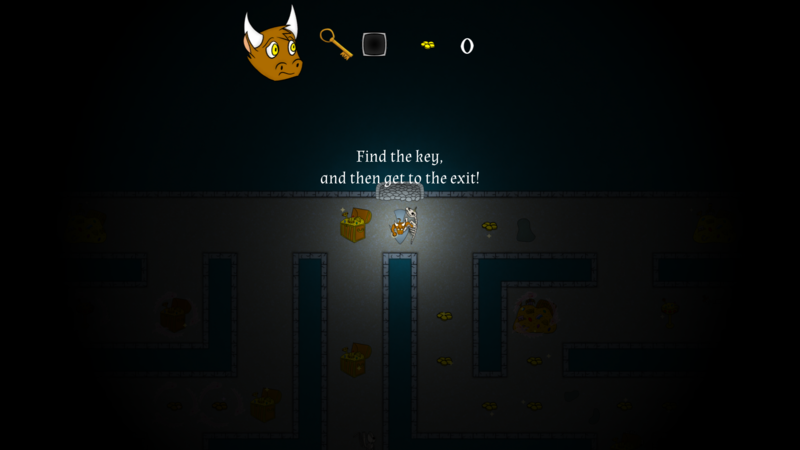 Arrow Buttons: Touch/click the arrow button showing the direction you wish to move. Direct Touch: Touch/click the screen. 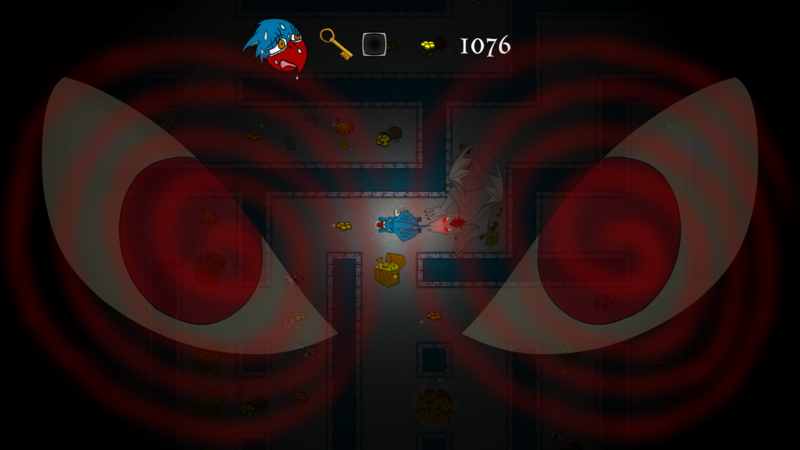 Your character will attempt to move in the direction of your cursor. Note: This game makes use of Unity Analytics. If you wish to opt out of anonymous analytics tracking, there is a button to do so under the in-game options menu (labelled "Unity Privacy Management"). He’s the thing of nightmares to all creatures of the Fairy Lands: the Basilisk, a colossal beast with a paralyzing gaze and jaws big enough to gobble up a dragon whole! 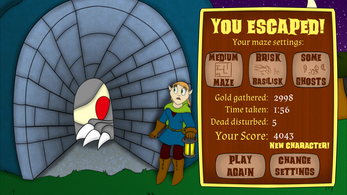 He makes his home deep inside a maze of ancient catacombs, hoarding wealth stolen from his scores of unfortunate victims. Many foolhardy adventurers have ventured into this lair, hoping to take a small piece of his riches for themselves, but few ever come back to tell the tale. Will you be one of the lucky ones? 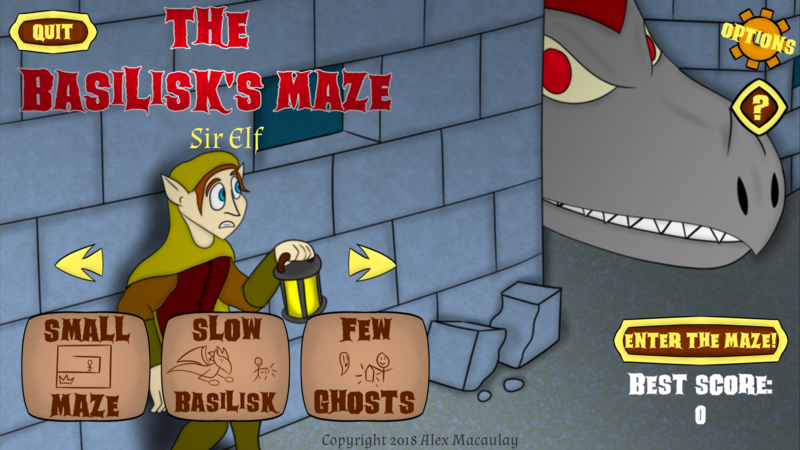 The Basilisk’s Maze is a simple, spooky arcade game where you take control of a denizen of a fairy tale land and enter a randomly-generated maze looking for gold, while a monster lurks in the shadows waiting to eat you. You must avoid this beast at all costs! Don't even let him see you, as his gaze can slow you down and make you an easy meal! Evade the monster and grab his treasure, but watch out! Some of it is haunted by ghosts that don't take kindly to being stepped on! If you can overcome all these dangers, you'll escape with a hoard of gold, a story to tell, and most importantly, your life! And if your adventure is particularly prosperous, you may attract a few other brave (or stupid) creatures who'd be willing to let you make them a fortune as well! 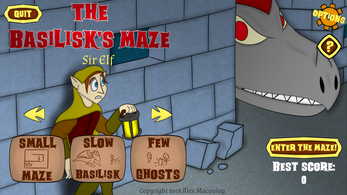 The Basilisk's Maze - Out Now!